Due to the extreme weather changes in the Uk, our chimneys are exposed and deterioration is accelerated, especially in coastal areas. If maintenance is not up kept the stack may incur problems. The stacks can be either rebuilt or repointed by our qualified bricklayers, lead work may need to be repaired or reinstalled. 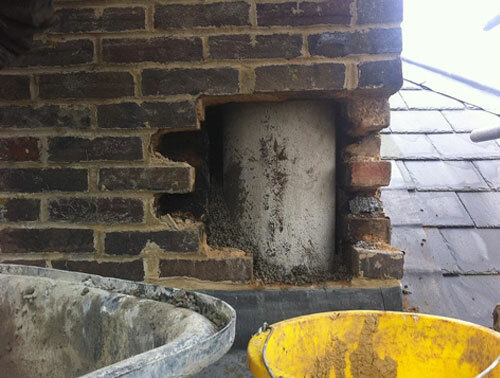 The most common over looked problem is cracked flaunching around the chimney pots, which can be removed and relayed with a sharp sand and cement mortar. If all theses methods are used, this will no doubt, prolong the life of your chimney stack. Our experience extends to period, thatched and modern properties, as well as national heritage buildings and commercial properties.